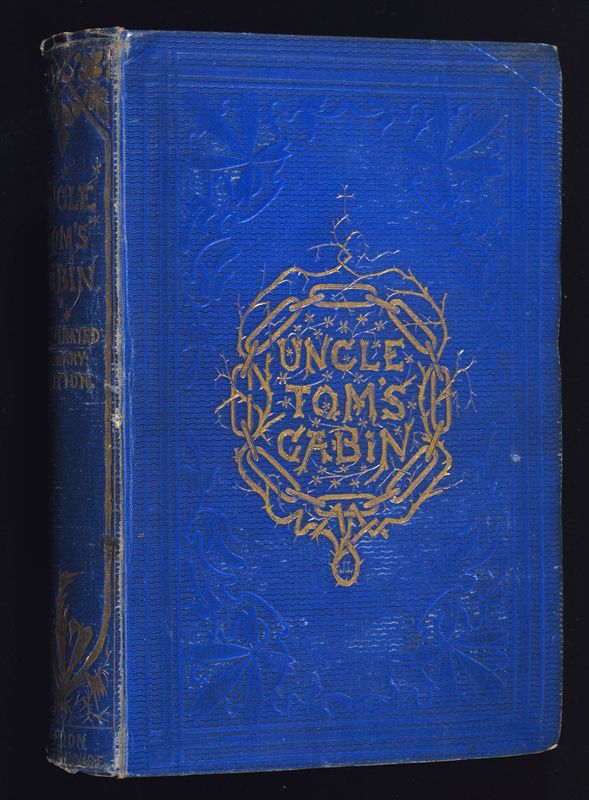 Uncle Tom’s cabin : or, Life among the lowly : a tale of a slave in America / by Harriet Beecher Stowe : with above one hundred and fifty illustrations / drawn by George Thomas … [etc.]. Blue paper binding, with gold design on front cover and spine, yellow endpapers. Bradbury and Evans (Firm), printer.